We need you. Cause in this game you will be in the center of a real war! Just place your tanks and set the best record here. There is no more time to explain and just do everything to kill all the enemies here. Everything depends on you. 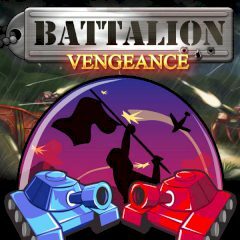 This is the final chapter and the game Battalion: Vengeance is the best way for you to check all your skills. The Dragoons have come home to lead the final strikes on the Akadian Empire. And in this turn based strategy game, you will have the chance to take command of the noble Dragoons as they fight to regain their homeland. Just try to control the Jammer Truck, Lancer Tank and Vulture Drone in your quest to defeat Durand and his Akadian cronies once and for all, thus you will be the real warrior.